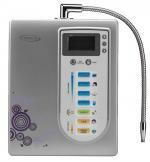 Advanced alkaline water ionizing machine power-packed with innovative features and great design. Discreet under counter installation. 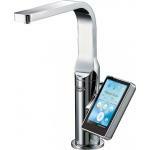 The sleek MAX Royae stainless steel faucet and LCD touch screen display will make a statement in your kitchen design. The Miracle M.A.X. is the market leading countertop ionizer that uses natural himalayan salts to produce strong acid water capable of killing E-Coli, staph, giardia and other viruses and bacteria on contact. It's high flow output makes it ideal for usage in high volume environments, both at home and in commercial settings. Backed by a Limited Lifetime Warranty. The MIRACLE is the most popular product in the line-up of Chanson water ionizers, with seven plates that produce alkaline water up to 11.5 pH, strong enough to emulsify pesticides on fresh produce, and acidic water up to 2.5 pH, strong enough to act as a powerful disinfectant. Backed by a Limited Lifetime Warranty. 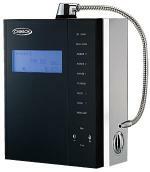 The VIOLET countertop ionizer gives users an excellent value ionizer backed by Chanson's renowned quality standards. 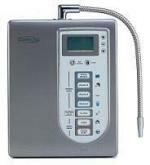 This five plate ionizer produces alkaline water up to 10.5 pH and acid water as low as 3.0 pH. Backed by a 3 Year Warranty.